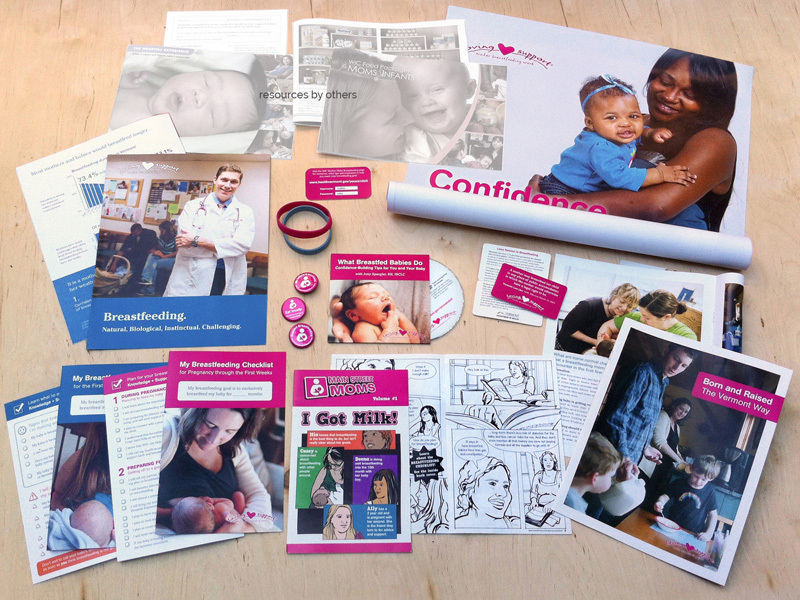 By pairing multifaceted social marketing with an incredible team at VT WIC, we’re empowering moms to reach their breastfeeding goals. 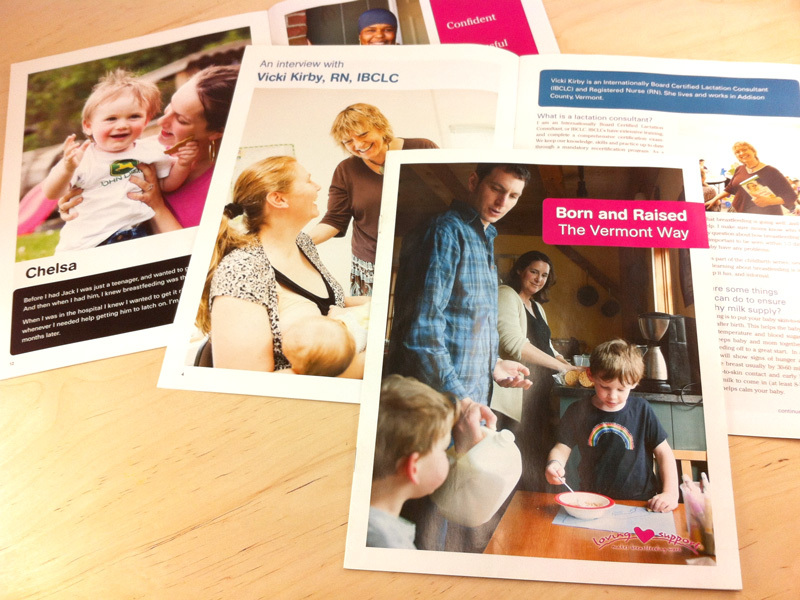 Research shows Vermonters start strong, but more than 8 out 10 moms stop breastfeeding before they are ready. Our campaign is addressing key challenges they face. WIC serves a broad constituency, generally in a multi-cultural and lower socioeconomic demographic. Yet needs for self-advocacy, public acceptance and support from family and healthcare providers are shared across the spectrum. 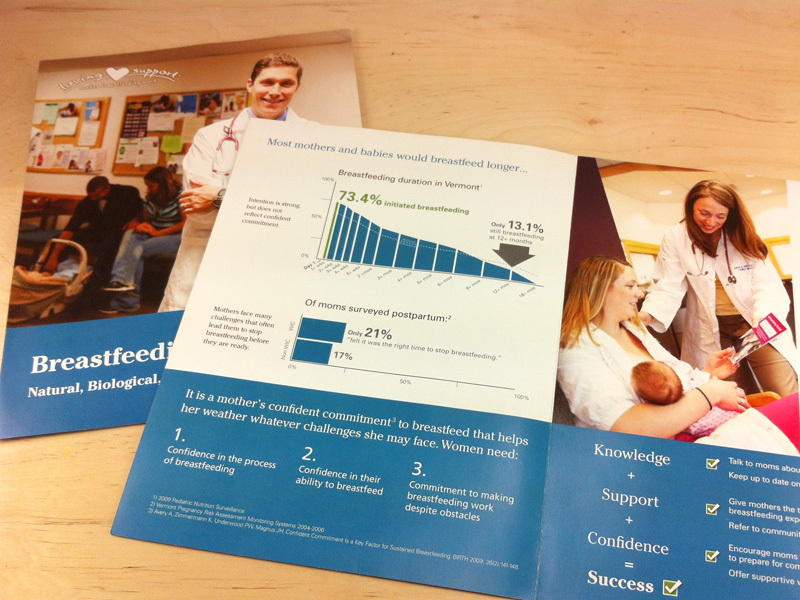 Our campaign needed to reach a diversity of women and families with very different attitudes toward breastfeeding. 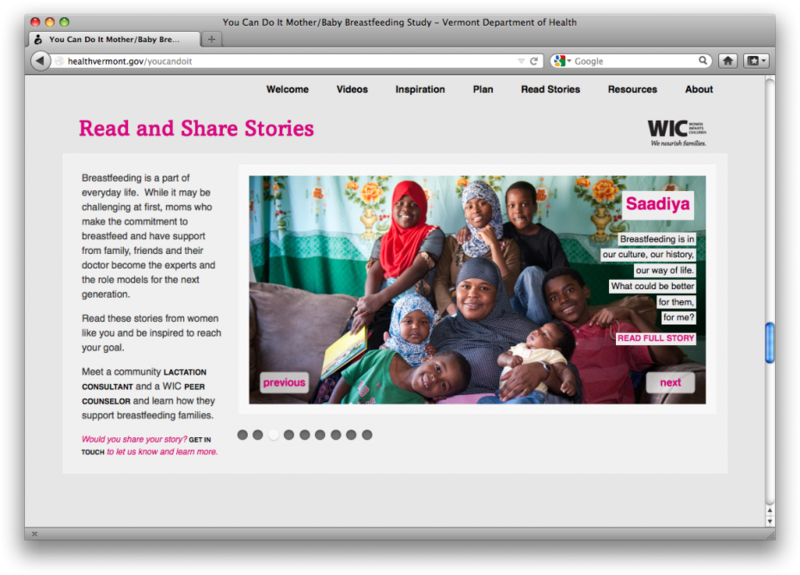 Using a multi-platform approach to engage various audiences, including teens and immigrants, You Can Do It materials were developed for WIC office visits, doctor’s offices, hospitals and the web. 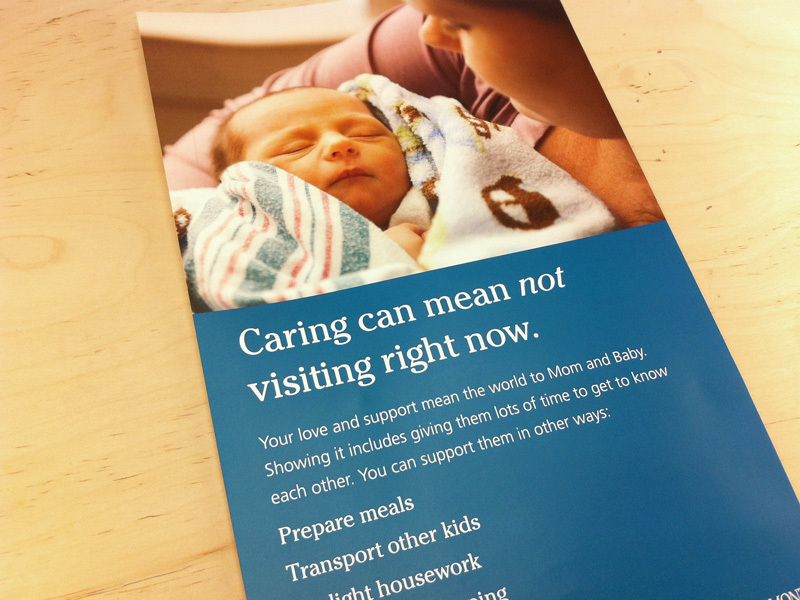 Parallel campaigns, WIC Can Help and 10 Steps, are aimed at health care providers and hospitals to increase understanding, dispel myths and improve quality of care. 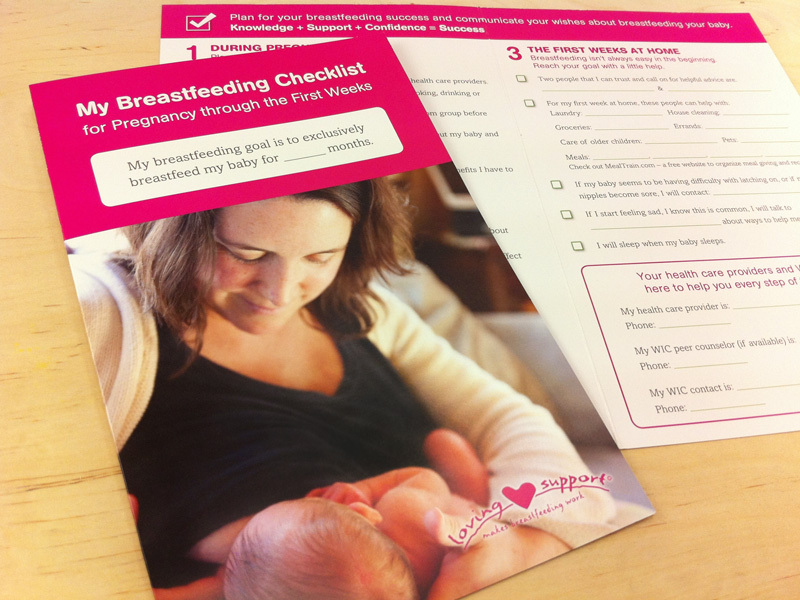 Evaluation of the campaign revealed exceptionally positive response among families, health care providers and WIC. 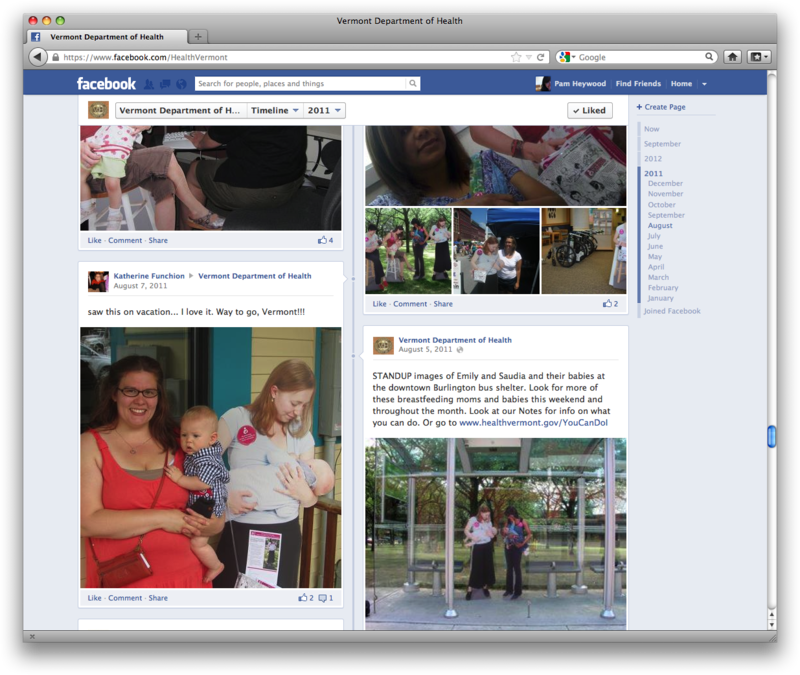 Breastfeeding non-profits and VT WIC’s nationwide counterparts have taken note; and VT Department of Health received a Performance Bonus from USDA Food and Nutrition Service for maintaining one of the highest breastfeeding rates among WIC recipients, well above the national average. The award has allowed us to continue this important work – including design and development an iPhone app for WIC peer counselors. Project partners: The Grayson Group and Plainspace. 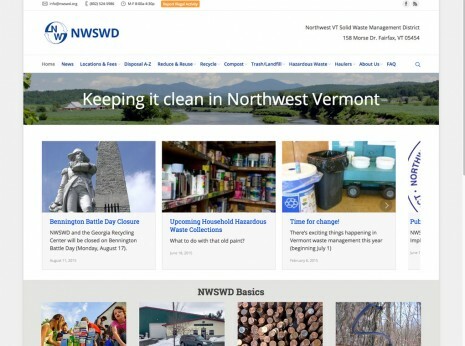 Read a testimonial from Karen Flynn, VT WIC’s Program Administrator.